Many people wonder what a professional pet sitter is, what they do and how they differ from ‘hobby’ pet sitters. We’ve presented 10 commonly asked questions about pet sitting and given our response. Hopefully this will enlighten you and help you understand our profession a little bit more. #1 What Is A Professional Pet Sitter? 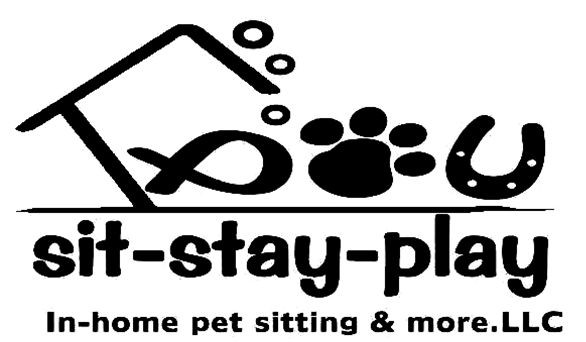 A professional pet sitter is a person who is focused on building a BUSINESS as a pet sitter. The pet sitter should have experience caring for a variety of pets. This person should have business insurance and be licensed with the secretary of state. As of right now, pet sitting doesn’t require a license per se, so if someone flaunts, “We’re licensed!”, find out what they’re talking about. Furthermore, a professional pet sitter should educate themselves on various topics such as pet first aid, animal handling, animal behavior, training methods, really anything related to animals a professional pet sitter should add to her repertoire. Additionally, any business class and business seminar a professional pet sitter should participate in if possible. 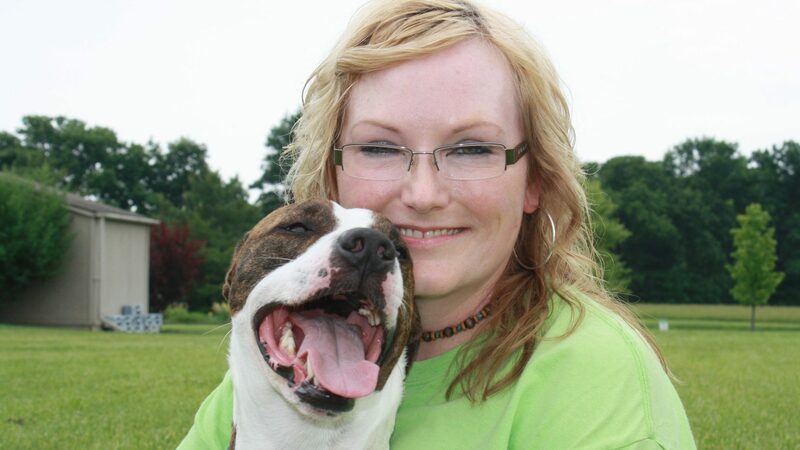 Knowing how to RUN a pet sitting business takes a lot of stamina, knowledge and passion. Those that rise to the occasion and work to educate themselves will do a much better job than individuals just pet sitting on the side for a little extra money. #2 What Does a Professional Pet Sitter Do? A professional pet sitter takes responsibility of your pets, livestock or farm animals while you’re away from home. A pet sitter can make daily visits, once a day to multiple times per day. Depending on what type of pets, livestock or farm animals you have will determine the work we do. We’ll make sure whatever pet we’re taking care of is fed, has fresh water daily, is loved on and cared for. We’ll make sure they’re content and healthy. We love happy pets and that’s our goal and there’s many benefits of hiring a professional pet sitter! #3 What Is A Hobby Pet Sitter? A hobby pet sitter is a person that does pet sitting on-the-side. They usually have another job or profession and they’re just taking care of pets on the side for extra money. Normally they don’t have pet sitting insurance nor do they invest in continuing education or network with other professional pet sitters. Read this article about leaving dog boarding (and pet sitting) to the professionals. #4 What Does A Professional Pet Sitter Do At My Home? Another common question about pet sitting we hear is, “What does a professional pet sitter do in my home?” As said in answer #2 above, we take care of your pets. Does that mean we snoop through your cabinets? No. If we’re looking for something that we need for your pet, we might need to look in a cabinet however. Does your pet sitter watch TV while they’re in your home? Possibly. If we’re taking care of your cats and they climb onto our lap while we’re sitting on the couch, we might turn on your TV while we’re there. If your cat makes a nasty mess on the floor, we’ll clean it up. If litter gets sprinkled all over the floor, we’ll sweep it up. Also, as far as your home goes, we will walk through and do a visual inspection to make sure your windows are shut and no one threw a brick through one trying to break in while you’re gone. We’ll make sure your furnace or air is working appropriately. We’ll bring in mail, packages and notes from the Schwann’s man. Our goal is to keep your home in the condition it was when you left and to keep your pets happy and healthy! 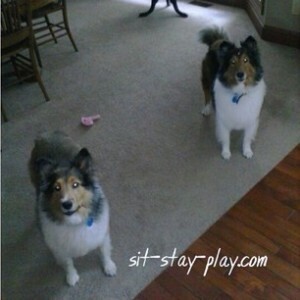 #5 Can I Meet My Pet Sitter? You sure can! During your initial consultation you’ll meet Kelley Stewart, the owner of Sit-Stay-Play. The primary pet sitter might accompany her to your consultation but if not and you wish to meet them, just ask and we’ll arrange a time. The initial consultation is free however, all additional consults will be charged a normal pet sitting fee and must be paid in advance. Our system actually allows all of our pet sitters to be able to take care of your pets at the drop of a hat. This is great for you because your pets will ALWAYS be in good hands, regardless of which pet sitter is taking care of your pets. Remember, you’re hiring our COMPANY to take care of your pets and home, not a particular pet sitter. #6 How Do I Schedule Services? Scheduling services are easy. All reservations and requests come through the office. Fill out our contact form or give us a call at 765-744-5688. #7 What Kind of Pets Can A Professional Pet Sitter Care For? 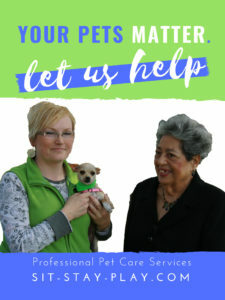 Our pet sitters care for dogs, cats, birds, fish, turtles, iguanas, snakes, rabbits, hamsters, guinea pigs, pot-bellied pig, llamas, alpacas, chickens, cows, horses goats and so much more. 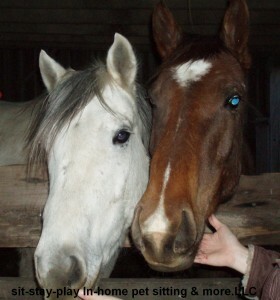 Some of our pet sitters are more comfortable handling dogs and cats, others love farm animals. Rest assured, whatever pet you have, we can probably take care of it. #8 What Happens If There’s An Emergency With My Pet? Emergencies happen. We’ve had several incidents with pets while we’ve been in business and we’ve handled each one compassionately, quickly and responsibly. In one particular case, one of our sitter’s walked in and saw that the dog had two bottles of medicine on the floor. He had managed to open both bottles and ate who knows how many pills. There was diarrhea and vomit all of the beige carpet. The dog seemed fine but the pet sitter though quick and took charge of the situation. Due to her quick response, the dog survived after having his stomach pumped and staying at the vet for 4 days. Anytime a pet sitter encounters an emergency they’ll refer to your emergency form if necessary. After that, we’ll access the situation and determine what needs to be done. If it’s an emergency we’ll contact you ASAP. #9 How Much Does Pet Sitting Cost? The pet sitting profession is a service industry. It’s not a one-size-fits-all type of service. Clients that have 6 dogs, 2 that take medication, 2 cats and a bird would pay a higher rate that someone with one dog or one cat. Why? Because it takes a heck of a lot longer to deal with 6 dogs, 2 cats, a bird and 2 medicine administrations then one dog or one cat. Our services start at $19 per visit. Read this article which talks about this topic a little more. 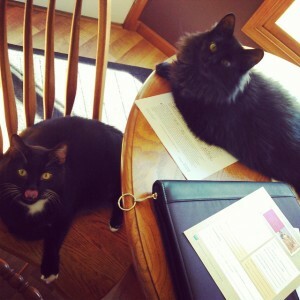 #10 What Happens If I’ve Scheduled Pet Sitting Services But Need to Cancel? Finally, commonly asked questions about pet sitting will end with a cancellation question. We understand things happen and you might need to change your travel plans. Our cancellation policy allows ample time for a client to cancel services for a refund or a portion of their refund. There you have it. The 10 most commonly asked questions about pet sitting. Hopefully we answered YOUR questions, if not, feel free to send us a message. We love to talk to people about what we do and help people understand exactly how we can help you.